We, at New England Country Music, want to bring on the new year with a fun series spotlighting women in country music. While the acronym WCW, standing for Women Crush Wednesday, is often used for physical attraction, that is not the case here. This series will feature talented women who are crushing it in the country music scene. 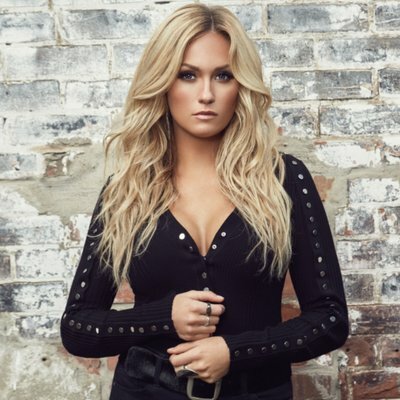 We’re continuing the trend for our second week of WCW with another Canadian born and bred female country artist. Let us introduce you to Meghan Patrick. Patrick is a singer-songwriter and talented guitarist originally from Bowmanville, Ontario. Patrick is, without a doubt, the definition of a true country girl. As mentioned in her bio: “She loves trucks, fishing and hunting, riding horses, and a good stiff glass of whiskey.” She even owned a red Pontiac Firebird as her very first car. You may be surprised to learn that she spent the better part of her childhood, ten years to be exact, as a gymnast. Tackling the balance beam, uneven bars, vault, and floor mats day-after-day, helped Patrick to become a stronger person, both inside and out. When referring to her years at the gym, she mentioned “Being an athlete made me who I am today as a person and as a musician. It taught me determination, perseverance, dedication, and hard work. It taught me that nothing great comes without sacrifice.” Though her interest in gymnastics may have cooled, her career in Nashville is really starting to heat up. Trading the sparkly leotard and gym chalk for a shiny microphone and acoustic guitar may have been the best decision of her life! Meghan Patrick signed with Warner Music Canada, and in April 2016 she released her first album titled ‘Grace & Grit.’ The 13-song record was a success that landed Patrick and cowriter Chad Kroeger a nomination for Songwriter of the Year at the 2016 Canadian Country Music Awards for their debut single ‘Bow Chicka Wow Wow.’ Two years later, in January 2018, Meghan Patrick dropped her second full length album titled ‘Country Music Made Me Do It.’ Track number three, ‘Walls Come Down,’ tells a deep-rooted tale. The narrative here is of real-life family struggles including affairs and drug abuse. Patrick sings: Daddy ran around but he never ran away…Mama said that she’d forgive but it turns out that she can’t…She fell into the arms of another. Touching upon drug abuse, she goes on with Cause no one wants to talk about her…Daily diet of pills and powder…But think it’s bliss to just stay blind. Each of the twelve songs describes a unique story, just what country music fans are looking for. Meghan Patrick’s many accomplishments include sharing the stage with acts such as Lady Antebellum, Jon Pardi, and Kip Moore. At the 2017 Canadian Country Music Association Awards, Patrick won Female Artist of the Year and the Sirius XM Rising Star Award. Patrick reflected on her achievements by saying “I did not expect those awards and I was certainly overwhelmed at the time. Now I just feel really appreciative and grateful that my fans and peers felt that I deserved those honors. In one sense you can say that my career has been kind of short in terms of being in the mainstream and having a record deal, but within the last year the trajectory has been huge.” She attended the 2018 CCMA Gala Awards with none other than our very own 2018 NECM Festival performer, Mitchell Tenpenny, as her “plus one.” The two have gone on to become one of country music’s cutest couples. Check out Patrick’s Instagram page as it is filled with adorable selfies of the two of them! To top everything off, Meghan Patrick took home the 2018 CCMA Female Artist of the Year award! She had the opportunity to perform ‘Walls Come Down’ with her band at the 2018 CCMA awards. Adding to the darkness of some of the song lyrics, she began her performance on stage in silhouette; just Patrick and her guitar with the light of the moon behind them. If you missed this, be sure to watch it here. 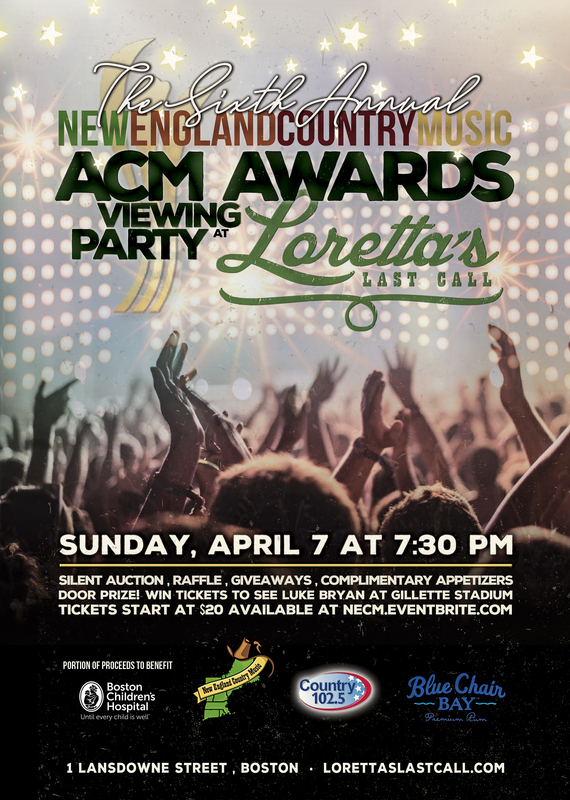 With her talented songwriting ability, classic country voice, and great guitar playing, this probably won’t be the last time we see her at a big award show! Just last month, ‘Walls Come Down’ was awarded as the Number One single on Canadian Country Radio. Prior to Meghan Patrick taking this top spot, only one other woman had a number one on Canadian Country Radio since 2008. It was our first WCW artist, Lindsay Ell with her single ‘Criminal.’ Two women with Number One’s after a decade of only male dominance on the charts. Way to go ladies! Keep your eyes and ears out as big things will certainly continue to come for Meghan Patrick. Stay tuned for our next installment of WCW in country music. It is set to hit our page on Wednesday January 30th. Be sure to download ‘Walls Come Down’ from her album ‘Country Music Made Me Do It’ on iTunes here. You can stay connected with Meghan Patrick by following her on Facebook, Instagram, and Twitter. This entry was posted in Home page blog and tagged CCMA, Country Music Made Me Do It, Meghan Patrick, Mitchell Tenpenny, Walls Come Down on January 16, 2019 by BeckyNECM.